Clearwire elected to take an $80 million April draw under the terms of its agreements with Sprint. The funding is in the form of exchangeable notes, which will be exchangeable under certain conditions for Clearwire common stock at $1.50 per share. Clearwire also stated that it continues discussions with DISH over its proposal and that it intends to pursue the course of action that it believes is in the best interests of Clearwire's non-Sprint Class A stockholders. Adopting what it calls an "Un-carrier" attitude, T-Mobile USA announced a radical simplification of consumer rate plans and the first activation of its LTE network in an initial 7 cities. T-Mobile USA is promoting a Simple Choice Plan that replaces restrictive annual contracts with a flat price of $50 per month for unlimited talk, text and Web with 500MB of data. Customers can add a second phone line for $30 per month, and each additional line is $10 per month. They can also add 2 GB of high-speed data for $10 per month more per line. Unlimited 4G data is $20 more per month per line. T-Mobile's 4G LTE network is launching today in Baltimore; Houston; Kansas City; Las Vegas; Phoenix; San Jose, Calif.; and Washington, D.C. 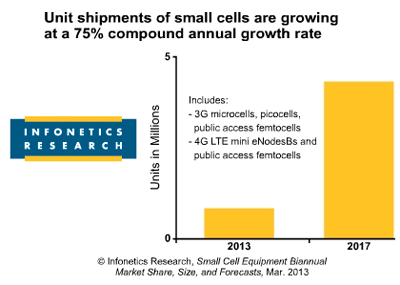 The advanced 4G LTE network is expected to reach 100 million Americans by midyear and 200 million by the end of 2013. 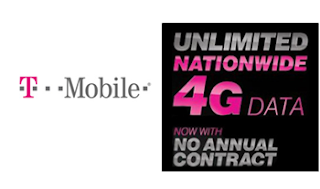 In May 2012, T-Mobile USA announced multi-year agreements with Ericsson and Nokia Siemens Networks to support its $4 billion 4G network evolution plan. T-Mobile USA, which acquired AWS spectrum from AT&T as part of the failed merger deal, aims to launch LTE in 2013. This new spectrum, in addition to the refarming effort, enables the launch of LTE in AWS spectrum and up to 20 MHz of LTE in 75% of the top 25 markets. As part of the agreements, Ericsson and Nokia Siemens Networks will provide and install state of the art, Release 10 capable equipment at 37,000 cell sites across T-Mobile's 4G network this year. T-Mobile also expects to be the first carrier in North America to broadly deploy antenna integrated radios, enabling accelerated deployment and reduced site loading. T-Mobile also plans to launch 4G HSPA+ service in the 1900 MHz band in a large number of markets by the end of the year, thereby supporting the iPhone. Nokia Siemens Networks confirmed that it will modernize T-Mobile’s GSM and HSPA+ core and radio access infrastructure in key markets to improve existing voice and data coverage. It will also deploy LTE as part of T-Mobile USA’s 4G evolution initiative in 2013. Specifically, NSN will supply T-Mobile with its Evolved Packet Core platform, including Flexi NS (Network Server) and Flexi NG (Network Gateway). The company will also provide for the LTE deployment its Single RAN Advanced platform based on its Flexi Multiradio 10 Base Station. Ericsson noted that T-Mobile USA will be the first in North America to deploy its AIR technology. Ericsson will install the radio, tower and switch room equipment, as well as provide consulting and systems integration and rollout services. Ericsson will also provide turnkey services in the areas of installation, commissioning, integration and migration. In 2006, Ericsson expanded its existing network contract with T-Mobile USA to include a nationwide 3G network. In 2010, Ericsson further enhanced T-Mobile USA's network with the deployment of HSPA+ 21 technology, and again in 2011 with HSPA+ 42 technology. Overture introduced a new switching platform for Carrier Ethernet 2.0 (CE2.0) Ethernet aggregation over any access method, it includes support for fiber, E-Access, copper, SONET/SDH, and TDM. 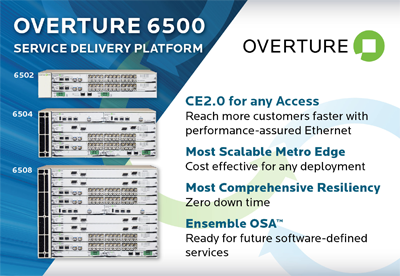 The new Overture 6500, which will be offered in several slot configurations, is designed for the company's new Ensemble Open Service Architecture for transforming the metro edge with software-defined networking (SDN) and network function virtualization technology. 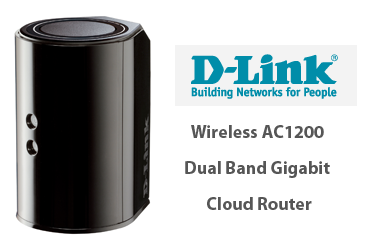 Key applications include Ethernet aggregation for business and cloud services, macro cell and small cell mobile backhaul, metro inter-office infrastructure, or wholesale E-Access service presentation and termination. 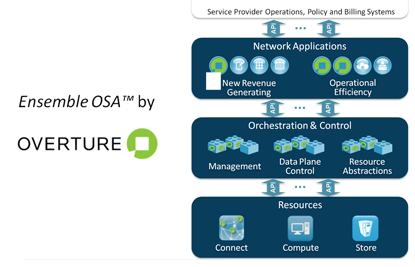 Ready for future software-defined services and integration Overture’s Ensemble Open Service Architecture. Overture said its new platform represents an entry point to software-defined services at the metro edge. The goal it to transform static infrastructure into dynamic, virtualized, and automated environments for service creation and delivery. This would let service providers rapidly configure and activate customized connectivity offerings in step with enterprise demands while also simplifying the management of their own infrastructure. The company is initially introducing 3-slot configuration of the high-availability chassis for performance-assured Ethernet over fiber access and wholesale Ethernet applications. Larger versions and line card variants for access over other media types will follow. Earlier this month, Overture unveiled its Ensemble Open Service Architecture for automating essential tasks in service creation, activation, and assurance at the metro edge. 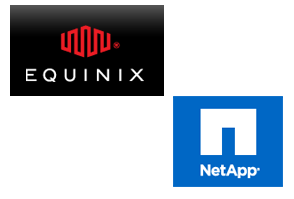 Resources – Elements that provide connect, compute, and storage functionality. They may consist of physical devices such as switches, servers and storage arrays, and/or software functions running on virtual machines. Orchestration and Control – Software building block functions for data plane control, resource abstraction, and network management that provide the glue connecting the resources to the applications. Network Applications – Software packages that leverage one or more of the Orchestration and Control building blocks and tie into a service provider’s back office systems and that of their business partners to create a service or network function. 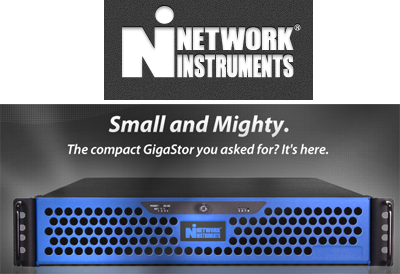 Big Switch Networks took the wraps off of its Switch Light, a thin switching, open source software platform that can be deployed as a virtual switch for server hypervisors and in merchant silicon-based physical switching platforms. The open source software is based on the Indigo Project, a sub-project within Project Floodlight, which is an SDN developer community that already includes some 200,000 lines of code. Big Switch said the aim of its Switch Light is to accelerate the adoption of OpenFlow-based networking by empowering commodity "white box" hardware. Initially, Switch Light will be available to run on a range of merchant silicon-based physical switches (Switch Light for Broadcom) and virtual switches (Switch Light for Linux), and will be ported to other data plane devices in the future. "In making our open-source thin switching platform available to the market, we aim to accelerate the development of OpenFlow-based switches, both through ODM and OEM partners, thereby catalyzing the deployment of OpenFlow networks,” said Guido Appenzeller, CEO of Big Switch Networks. 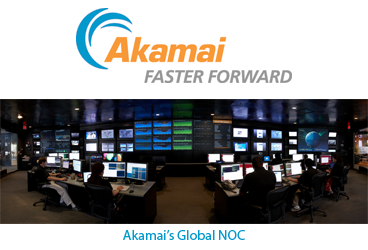 “Customers are demanding choice in Open SDN hardware and want to unite their physical and virtual platforms. Switch Light is an important step down that path." 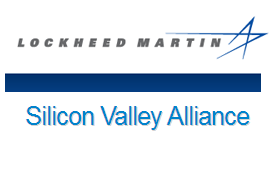 Big Switch cited a number of industry partners for Switch Light, including Broadcom as a leading merchant silicon partner, and Accton and Quanta for merchant silicon-based switches. 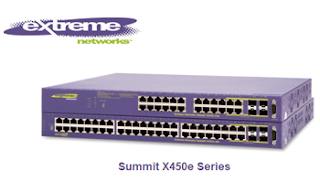 Extreme Networks, a key Big Switch data center switching partner, will be enhancing their hybrid switch offerings by supporting Switch Light. Extreme Networks announced a commitment to offering an open source, OpenFlow thin switching platform in line with Big Switch Networks' Switch Light initiative. Later this year, Extreme Networks plans to introduce its first such switch, the Slalom -- an optimized SDN switch supporting lightweight software and network services based on the OpenFlow protocol. The company said this new Slalom switch will provide an evolutionary progression of its Open Fabric portfolio, complementing its ExtremeXOS based SDN-capable stackable and chassis-based switches. "Extreme Networks Open Fabric is designed to offer customers an open and broad portfolio of next generation data center networking solutions that support emerging SDN solutions in hardware and software," said Oscar Rodriguez, president and CEO for Extreme Networks. "Providing customers with the widest amount of choice and performance for their networks is what reduces their costs and helps them scale." In February, Extreme Networks began shipments of OpenFlow with the release of ExtremeXOS 15.3 and SDN applications from Big Switch Networks. 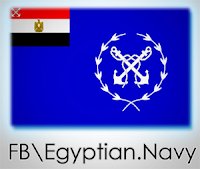 These applications include Big Tap, providing traffic monitoring and dynamic network visibility with flow filtering, and Big Virtual Switch (BVS), an application for virtualized data center networks which provisions the physical network into multiple logical networks across the stack, from Layer 2 to 7. IBM introduced a new Software Defined Network for Virtual Environments (SDN VE) solution for automating the process of setting up am networks. The software helps network administrators to speed up traditionally time-consuming tasks such as network provisioning. In addition to management and provisioning, the IBM SDN VE, which is based on IBM’s DOVE (Distributed Overlay Virtual Ethernet) architecture, automates network virtualization. 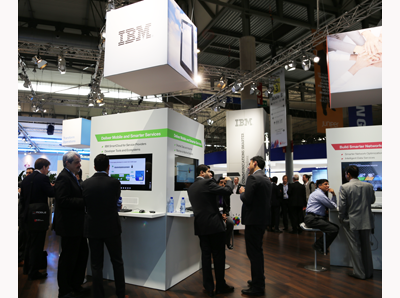 “Our vision of the Software Defined Environment is one of an intelligent data-driven ecosystem that is easily managed and scaled to meet ever-changing market demands,” said Dr. Inder Gopal, IBM vice president of System Networking Development. The Securities and Exchange Commission (SEC) charged David Riley, the former chief information officer at Foundry Networks, and Matthew Teeple, a former hedge fund investor, with insider trading. The SEC alleges that David Riley tipped off Matthew Teeple in advance of a July 2008 announcement that Foundry Networks Inc. had agreed to be acquired by Brocade Communication Systems for approximately $3 billion. Teeple used the tip to buy Foundry shares in large quantities in the days leading up to the public announcement, and the hedge funds managed by the firm reaped millions of dollars in profits when Foundry’s stock value increased upon the news. The SEC claims that Teeple also shared this information with others at his firm who also benefitted from the insider information. The U.S. Attorney’s Office for the Southern District of New York has also filed criminal charges against Teeple, Riley, and another associate. Tabula, a start-up based in Santa Clara, California, introduced its suite of high-performance packet processing solutions aimed at 100G applications. 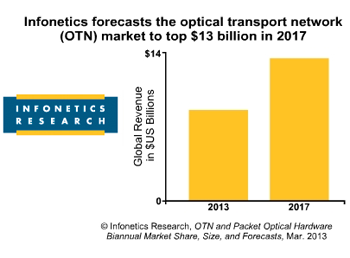 The technology focuses on routing of high-performance buses, on-chip RAM throughput, and timing closure for the ultra-high-performance functions required by 100G systems. 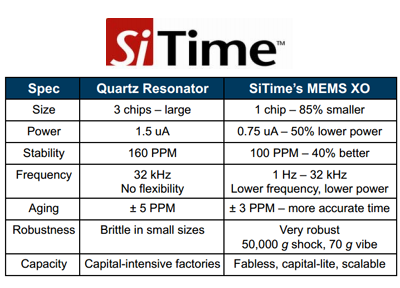 Tabula will also leverage Intel's 22nm Tri-Gate technology. 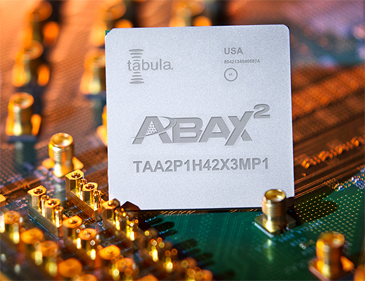 The packet processing solutions, combined with Tabula’s new ABAX2P1 3PLD, deliver processing of four 100G streams on a single chip, a search engine capable of supporting 100G packet traffic, and a 12x10G-to-100G bridge. A 12x10G-to-100G bridge reference design kit, implementing an aggregation function commonly used in communications systems and using the ABAX2P1 device’s unique high performance commonly used in communications systems and using the ABAX2P1 device’s unique highperformance bus-handling capabilities. A 4x100G switch reference design kit, targeting data center migration from 10G to 40G and 100G, is made possible by the ABAX2P1 device’s ability to process multiple 100G streams. 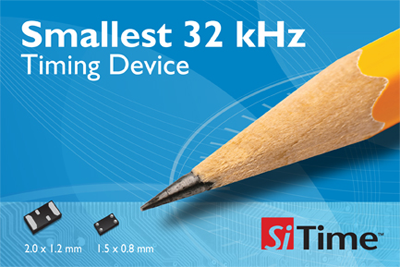 A 2nd-generation Ternary Search Engine (TSE) reference design kit, delivering the highperformance search capabilities required for leading-edge routers and NGFW while showcasing the ABAX2P1 device’s unmatched RAM capabilities. 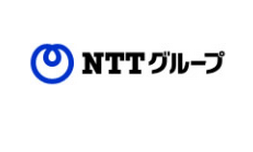 The company said its solution leverages innovations four key areas: Programmable 3D architecture, RTL compiler, leading-edge process technology using Intel's 22nm Tri-Gate technology, and 3PLD devices. 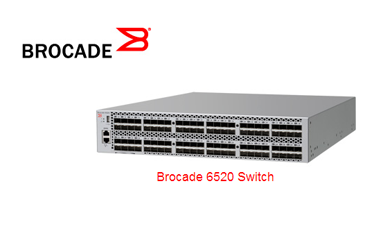 Brocade outlined its new "Fabric Vision" technology for simplifying SAN deployment and management and announced a new high-density fixed-configuration SAN switch in its Gen 5 portfolio of 16 Gbps Fibre Channel products. Cable and optic diagnostic features that simplify the deployment and support of large fabrics. 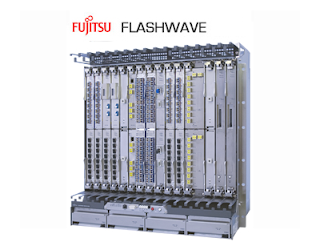 TELUS has selected the Fujitsu FLASHWAVE 9500 Packet Optical Networking Platform (Packet ONP) to bring 100G to its network. Financial terms were not disclosed. Fujitsu said its 100G solution will help TELUS to meet the bandwidth requirements for high-speed data services, Internet video services, and smart phones, while ensuring a better cost per unit and a lasting technology foundation for their evolving packet-centric regional and national network. Level 3 Communications launched new metropolitan networks in Buenos Aires, Argentina and Bogota, Colombia. Level 3 has established multiple nodes in both of these cities, with each network boasting a total capacity of 80x40Gbps and the potential of upgrading to 80x100Gbps. Level 3 is offering fiber capacity of up to 40 Gbps. Wholesale and enterprise customers also can build their own backbones and dedicated networks, and interconnect with Level 3's and others' data centers to build SAN, disaster recovery and cloud services solutions. Level 3 has existing metropolitan high-speed networks in Sao Paulo and Rio de Janeiro, Brazil. "Level 3 is always working to meet all the needs of our customers, and by launching these metropolitan networks, we will be able to address our customers' increasing demand for capacity in two very important markets in Latin America," said Leonardo Barbero, Level 3's senior vice president and chief marketing officer for Latin America. Zayo Group announced the appointment of Alastair Kane as Vice President of Europe. Kane has held a variety of executive roles throughout his career in the Telecommunication industry in Sales Management and Marketing, for organisations such as 2e2, British Telecom, Level 3 and MFS. Zayo expanded into the European market with the acquisition of AboveNet in July of 2012, and currently has 72,800 fibre route miles world-wide. 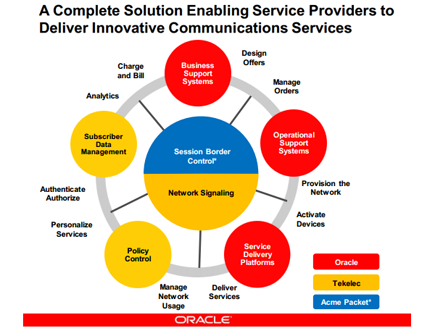 Oracle agreed to acquire Tekelec, which supplies network signaling, policy control, and subscriber data management solutions for telecom operators. Financial terms were not disclosed. Tekelec’s main solutions include its Diameter and SS7 Network Signaling platform, its Policy Control platform and its Subscriber Data Management system, which tracks dynamic subscriber data. The Diameter and SS7 Network Signalling offers integrated applications such as Local Number Portability, Equipment Identity Register, 3G to Voice over LTE Migration, load balancing, congestion control, and protocol mediation. Home Subscriber Server, which serves as the central authentication and mobility management point in LTE Evolved Packet Core and IMS networks, and supports the latest 3GPP standards, including Idle-Mode Signaling Reduction. The HSS is an application on Tekelec's Subscriber Data Server, which also includes the Subscriber Profile Repository (SPR), the Equipment Identity Register (EIR), the next-generation Home Location Register (ngHLR) and an HLR-proxy to ensure seamless 3G/LTE services and device management. Diameter Signaling Router, which scales and manages services and applications in LTE core networks for hundreds of millions of subscribers. The DSR centralizes routing, traffic management and load-balancing tasks associated with Diameter traffic. Policy Server, a Policy and Charging Rules Function (PCRF) that integrates with the HSS and acts as the brain for policy coordination, dynamic bandwidth control, charging, consumption and other factors for a subscriber's entire data session. Performance Intelligence Center (PIC), a performance management system that converts network traffic information into useful business intelligence for service providers to improve the customer experience. The PIC integrates with the DSR to eliminate the need for additional probes and network elements to analyze how subscribers are using IP-enabled devices and applications. Oracle plans the acquisition boosts its own Communications portfolio, helping service providers to rapidly create and deploy innovative communications services, engage customers, improve operations, and control network resources. 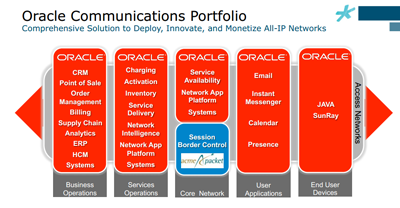 Oracle's existing Communication products include telco support systems, service delivery platforms, and business support systems. 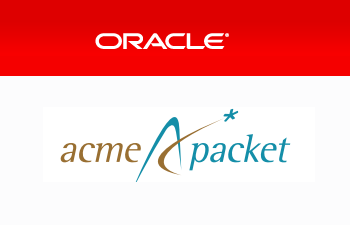 In February 2013, Oracle agreed to acquire Acme Packet, a leading supplier of session border controllers, for $29.25 per share in cash, representing an enterprise value of $1.7 billion net of cash. Acme Packet supplies session delivery solutions to both carriers and enterprises. Oracle said it would make Acme Packet a core offering in its Oracle Communications portfolio to enable customers to more rapidly innovate while simplifying their IT and network infrastructures. In January 2012, a consortium led by Siris Capital Group completed its acquisition of Tekelec for approximately $780 million, or $11.00 per share in cash. NETGEAR introduced a new line of managed Ethernet switches for small and medium businesses. 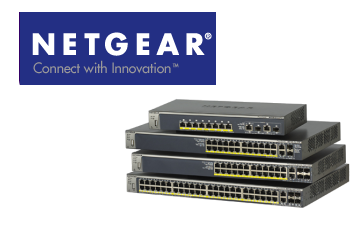 The NETGEAR Intelligent Edge M4100 series consists of 12 fully managed switch products in desktop and rackmount form factors, ranging from 8-port Fast Ethernet and Power over Ethernet (PoE) to 50-port Gigabit Ethernet and PoE Plus (up to 30W), and power budgets ranging from 66W to 1,440W. The first TV White Space (TVWS) trial in South Africa will test wireless broadband in ten schools across the Cape Town area. 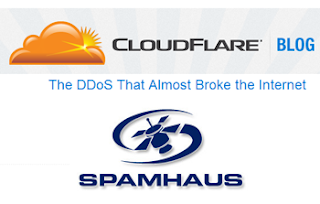 The trial is led by Google, Carlson Wireless and other partners. The trial will attempt to show that broadband can be offered over white spaces without interfering with licensed spectrum holders. To prevent interference with other channels, the network utilizes Google's spectrum database to determine white space availability. Carlson's RuralConnect Broadband Solution, enabled by the Neul Horizon software, provides the communications backbone for the trial; outputting broadband Internet while interacting with the Google database to ensure proper channel assignment. Jim Carlson, President of Carlson Wireless, stated, "'This is a small example of TVWS spectrum overcoming a need that exists all over the world...providing connectivity to underserved areas is more than an interest to us, it's specifically what got us into the game. We are overjoyed to participate in such a project, helping to provide schools with a fundamental service." Shell renewed a five year contract under which AT&T serves as Shell's global provider of secure, advanced communications and mobility solutions. The Shell contract is the largest retail communications services contract signed by AT&T with a company headquartered outside the United States. Financial terms were not disclosed. "It's been enormously rewarding to work with Shell, which operates in a very dynamic and highly globalized industry," said Mark Shine, AT&T Senior Vice President. 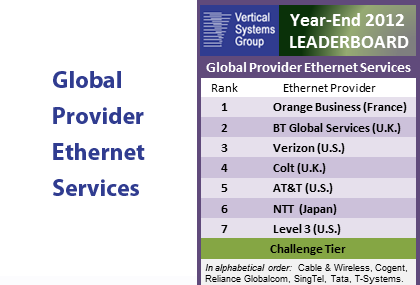 "By providing global networking solutions accessible from just about every corner of the planet, AT&T is delivering what it does best, so that Shell can focus on its core business – providing energy products and solutions for consumers and businesses around the world. And with the world of business now going mobile, we know we can deliver an even higher level of value to them." 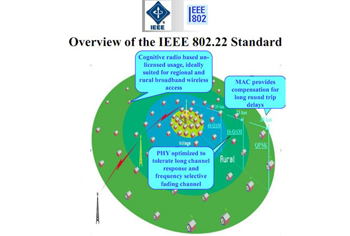 Arvig Communications, which serves some 66,000 customers in rural Minnesota, has selected Cyan's packet-optical transport solutions to upgrade its network. 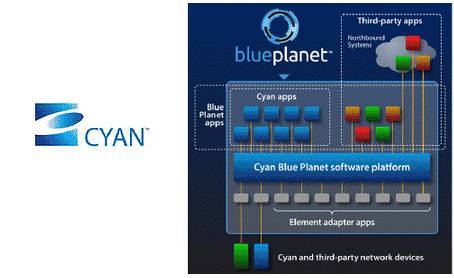 The deployment includes Cyan's Blue Planet, a software-defined network (SDN) system, and Z-Series packet-optical transport platform. Financial terms were not disclosed. 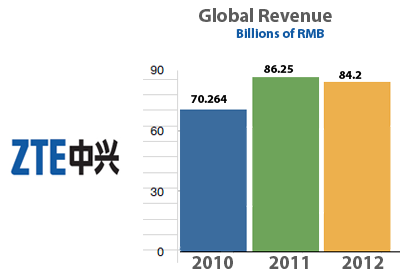 Interoute Communications reported 2012 top line revenues of €410 million, a 12% increase over the same period in 2011. The company cited strong growth in sales of its enterprise Cloud and computing services (up 28% from 2011), and increased demand for international pan-European private network services (up 12.5% from 2011). 2012 EBITDA rose 16%, to €79 million for the full year, while profits rose 140% to €18.4 million. "Interoute’s Cloud and network services combine to provide an integrated platform that brings our customers real benefits. The network provides reach, speed and security at a very competitive cost and enables the Cloud to be as private or as public as our customers need. The Cloud benefits from the availability, redundancy and high capacity of the network, with customers gaining benefits such as free data transit between Interoute Virtual Data Centres. In essence, we combine the unprecedented scale of the platform with the operational agility that comes with an ever increasing virtualised service offering," stated Gareth Williams, Interoute CEO. Interoute's infrastructure now encompasses over 60,000 km of lit fibre, 10 hosting data centres and 31 collocation centres, with connections to 140 additional third-party data centres across Europe. 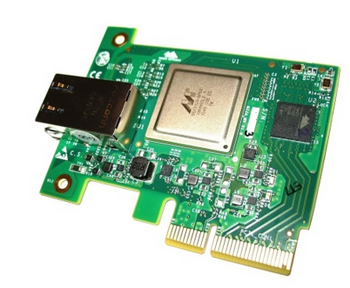 Tehuti Networks introduced a 10GbE adapter with integrated 10GBase-T support.